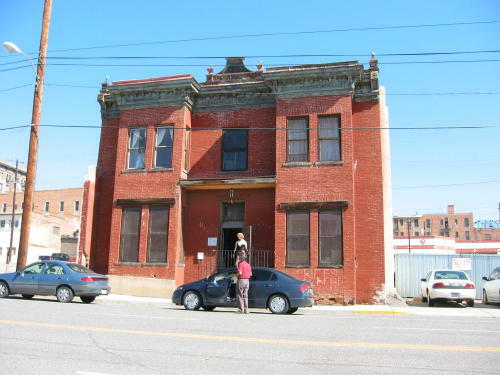 This is the front of the old Dumas Brothel, the oldest and longest running (until 1982) house of prostitution in Butte. The building seemed to be abandoned but upon poking about, we met an older man who grew up in Butte and remembered the house in operation. He gave me permission to take photographs. The building was in dire need of renovation after he purchased it recently. He’s now renovating and plans to make the building into a red-light museum of sorts.